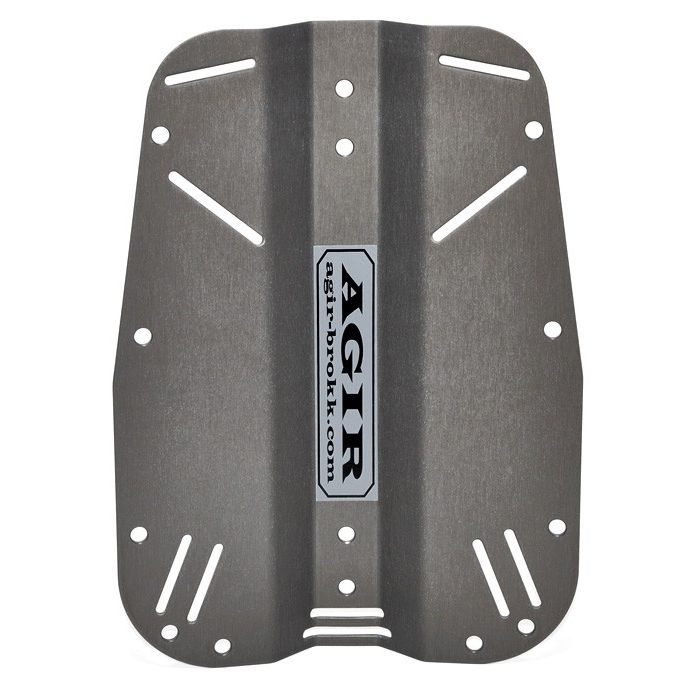 Aluminium regular size backplate, complete with harness. 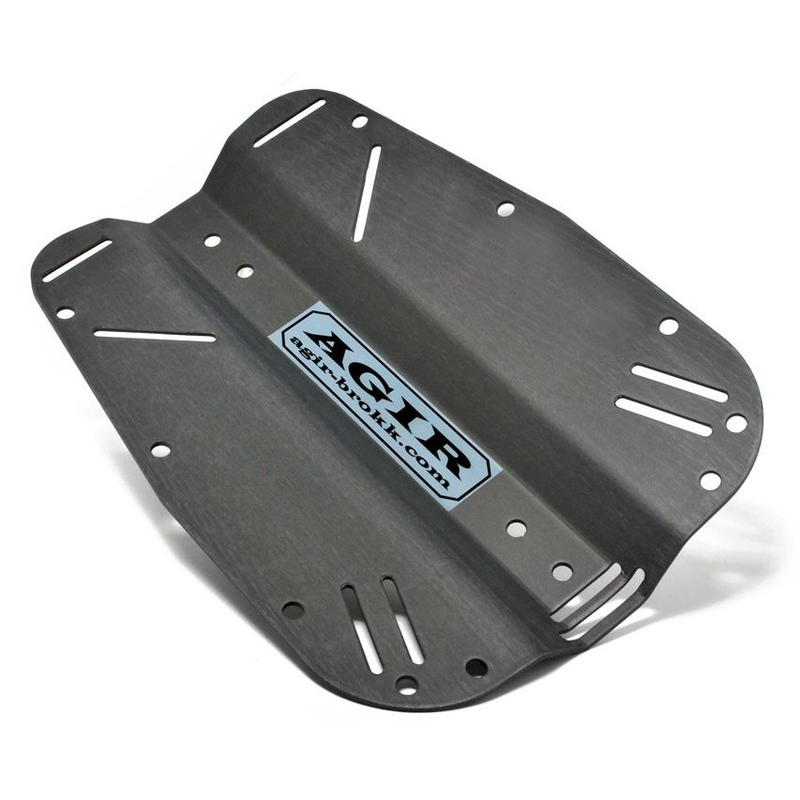 Aluminium regular size backplate. 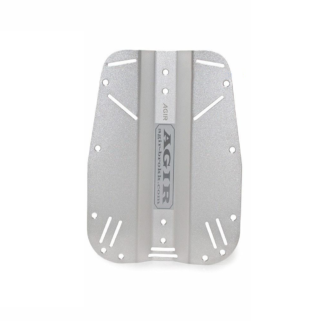 Lighter than our stainless steel backplates (1.1 kg), the aluminium backplate is good for travel and also for diving where you need little weight. Complete, with harness and ready to use. 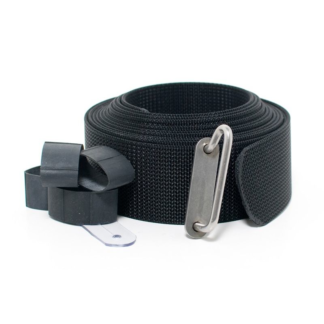 Only minor adjustments may be required before best fit is achieved. 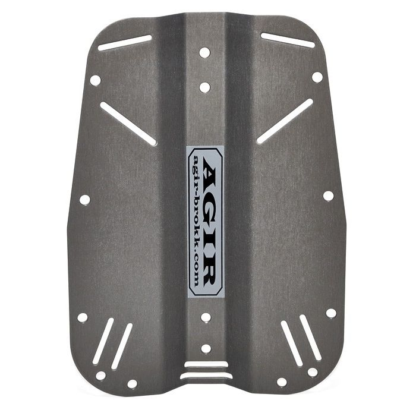 The Agir aluminium backplate is surface treated to provide a protective finish. All slots and edges are carefully evened. All holes are countersunk. 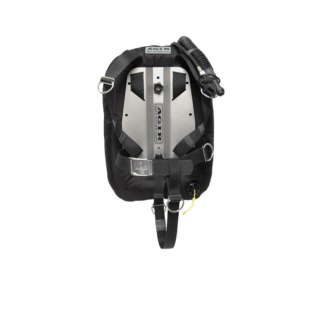 Holes in the center and on the edges enable personal configuration and provide you, the diver, with optimal trim. The bend of the plate, the angled slots and rounded corners enhance ergonomics. This is very important when wearing heavy gear, such as double steel tanks. The center recess is deeper to allow user of shorter bolts on twinsets. This avoids common problems with long bolts.